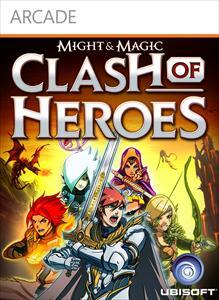 Might & Magic: Clash of Heroes was developed by Capybara Games, published by Ubisoft and released on April 14, 2011 for 1200MSP. Clash of Heroes stems from the Might & Magic franchise but takes it into a completely different direction with puzzle/strategy-based gameplay and a fairly self-contained storyline from the rest of the series’s continuity. With roots in the familiar match-three mechanics of games like Bejeweled, Clash of Heroes may appear to be quite generic at first glance. However, the game’s critical success in its 2009 Nintendo DS release suggests otherwise. Does Capybara’s latest XBLA release manage to carry over a winning formula that can capture the love of a different gaming audience? Innovative puzzle/strategy gameplay – Earlier games in this generation like Puzzle Quest made major advances into taking a standard puzzle game formula and translating it into a more complex affair. 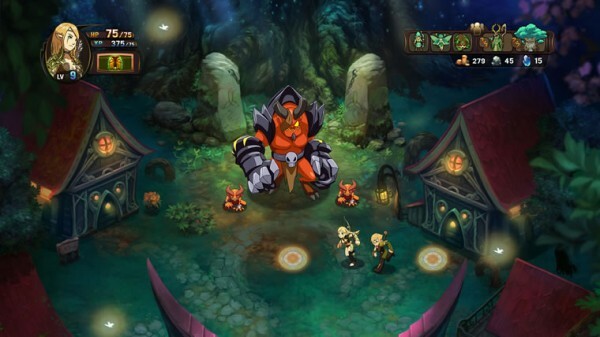 Clash of Heroes takes the elements of these games and brings them to the next level. 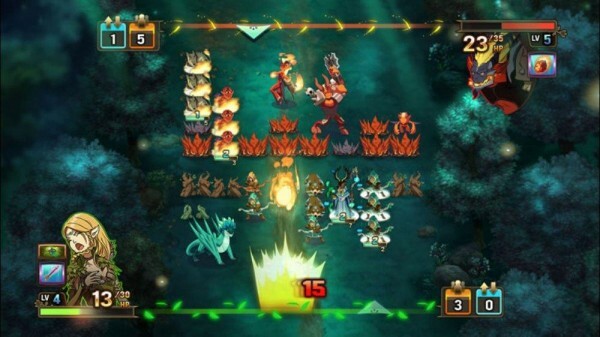 The grid-based battlefields allow for match-three gameplay that rewards combo chaining in an organic way, allowing the player to build their offense and defense faster rather than simply rewarding points. A wide variety of character classes enable truly different strategies based on the abilities of individual units, making the damage a unit does less important than the way it does the damage. When it comes down to it, this game manages to build upon the essence of familiar gameplay mechanics and present a very original player experience. 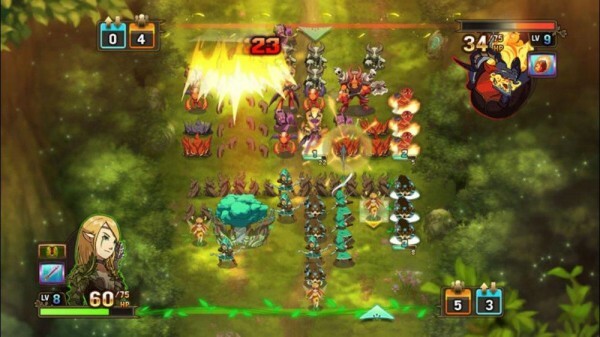 Art style – Clash of Heroes doesn’t require much familiarity with the Might & Magic series as far as story is concerned, making it very friendly for players new to the franchise. This blank slate approach to the story resulted in what many considered a whitewashed fantasy-styled game on the DS. This updated version pushes past that with a rich, hand-drawn art style that brings character and soul to an seemingly generic game. Charming, self-aware writing – The writing adds another level of charm on top of the art style, with a large epic storyline that follows Might & Magic trends in a visible way. The campaign is broken into different parts, each based on the journey of a single character that eventually converges into the final branch. This might be conventional from a top-level perspective, but the minute-to-minute writing has a light-hearted air of self-awareness. At times, the characters starring in this winding story seem to know how winding it is, with brief remarks that seem clever but on the brink of being out of place. Overally, this helps make Clash seem less generic due to the simple fact that the writers knew that its fantasy roots were well worn. Online multiplayer – The most notable feature that Clash of Heroes DS lacked was any sort of infrastructure multiplayer mode. This version makes up for that, adding a couple of multiplayer modes with a great interface. 1vs1 and 2vs2 multiplayer are supported both locally and online, with options for time limits, artifacts (in-game items that change the way a specific unit works or affect the overall mechanics of play, i.e. increasing wall effectiveness or not subtracting a turn for unit resupply), or invite only sessions. The 2v2 option is the most interesting addition of the bunch, assigning certain units on the play field to each person on the team and requiring cooperation to develop strategies. 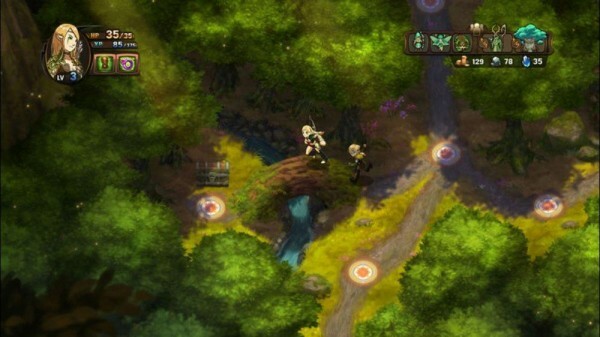 Rebalancing – It wasn’t made very clear to the public that any changes were being made to the Nintendo DS version of Clash of Heroes in its XBLA conversion. One of the most interesting yet difficult to notice improvements is rebalancing to several aspects of game. For instance, Anwen’s hero spell has been changed from “Sniper Shot” to “Arrow Storm”, distributing the damage of the attack from one column to three columns (respectively). Godric’s hero spell “Holy Shield” has been changed to fire energy blasts from remaining bonus shields at the end of the turn of activation. While these changes might not be felt by newcomers to the game, fans of the original might recognize that these changes ultimately improve the multiplayer experience. Interface improvements – Another minor yet well enjoyed improvement made to this HD remake is the streamlining to the interface. The player now has the ability to flee from encounters before the battle starts, allowing assessment of the enemy’s level and elite units. Dialogue is now skippable using the start button, speeding those pesky conversations with the local bounty hunter. 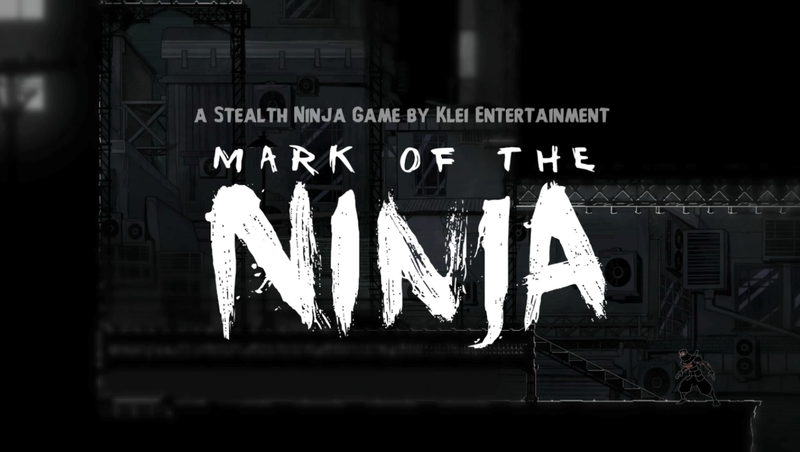 Earlier parts of the campaign are open to be revisited, allowing the player to finish challenging puzzle battles or capture bounties that eluded them throughout their first run through. These little things pile up as a spoonful of sugar to help the already sweet campaign go down. No voice acting – This is less something that the game did wrong and more something we hoped the game would do. Among all of the visual improvements, voice acting would have truly made Clash of Heroes HD a great audio-visual experience. The cutscenes between campaign chapters illustrate how an enriched audio element can bring gravitas to a story that might not look so hot on paper. Voice acting would also bring more levity to the game, tapping into the aforementioned writing style and surely invoking a few laughs. No colorblind mode – While this issue certainly won’t surface for the majority of players, the lack of a colorblind mode is a terrible plague on the puzzle game genre as a whole. The fact that some units are differentiated by color alone and not visual style means that these players will have a truly rough time getting through the campaign, where the colors of the units change on a per character basis. With no shortage of positive qualities, Might & Magic: Clash of Heroes is clearly one of the best games on Xbox Live Arcade. A full-featured, 30+ hour campaign along with an enjoyable set of multiplayer modes make this game appealing for extended play, more than justifying the 1200MSP price of entry. Furthermore, it has easily cemented itself as the definitive version against its Nintendo DS counterpart, giving fans more than enough reasons to come back and even more for newcomers to check it out. While Might & Magic: Clash of Heroes is a massive departure from the original Heroes of Might & Magic franchise, the turn-based army managing strategy game shines through even in its match 3 style puzzle gameplay. In fact, Clash of Heroes‘s use of match 3 combines traditional puzzle and tactical unit selection displays a level of innovation not recently seen in the frequently employed match 3 sub-genre. Linking and fusing turn basic “attack orders” into major tactical decisions; players spend most of the game deciding which units to toss, which units to send into battle and which units to defend the line from a limited supply. Those tactical decisions turn Clash of Heroes into something fantastic that any lover of puzzle games should enjoy either solo or, far better, with a friend or two. While the gameplay is absolutely top notch, the story leaves much to be desired and is chock-full of MacGuffins. Luckily the progression through the campaign is paced nicely in regards to when new units are introduced, making the campaign a fantastic, albeit perhaps too lengthy tutorial experience. Ultimately Clash of Heroes is a triumph of puzzle gameplay and while the story is ridiculous, everything else about the game is excellently executed and rounded off with polished hand-drawn visuals. Jonathan Cole is a student at the University of Central Florida studying Mechanical Engineering. He writes for CastMedium.com and co-hosts the site's weekly podcast. You can find him at about.me/jonathancole, @jonathanacole, and XBL: jonac13.